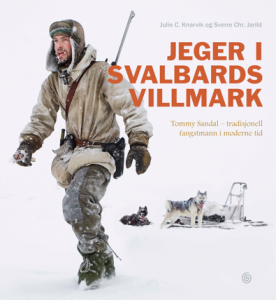 If you want every experience short of actually being there then read Julie Cathrine Knarvik’s new book, Jeger i Svalbards Villmark (Hunting in Svalbard’s Wilderness, subtitled ‘Traditional Trapper in Modern Times,’) Kagge, Oslo 2010. She and photographer Sverre Christian Jarild followed Tommy Sandal for two years to document his life in one of the most spectacular and beautiful places on earth. For a closer look at the subject and witnesses on their magnificent adventure see author Knarvik’s personal web site. View some of the amazing photographs and videos which have gone into this production. By all means, though, buy the book. This is a CBC Gold Star Recommendation. Web Site of Julie C. Knarvik. This entry was posted in Blog on 07.12.2010 by Paul Carlisle Kettler.